The Eternal Temple of Nun™,Inc. 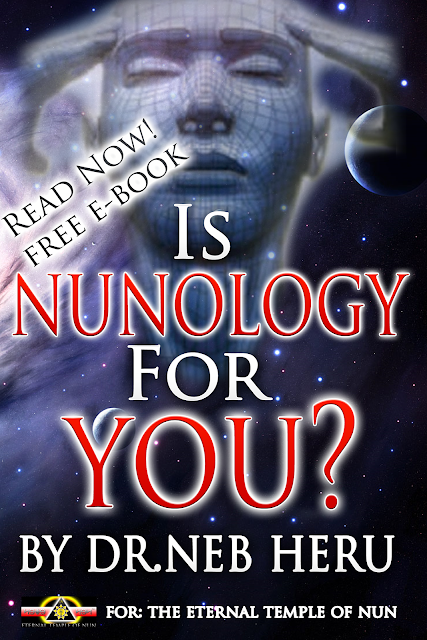 : What is Nunology™? Answer: Nunology is our Ancient Mental & Spiritual Science that teaches you how to tap into, work with and “Apply” the “Positive” Unseen Forces in Nature known in Ancient TaMa-Re (Egypt) as “Nupu”. Nupu is the “Hidden Dark Energy” in Nature that represents the Original “Creative Forces”. Nunology which is known as “NUN” Pronouced “Noon” is the Science of Sciences and is the Way we Children of the SUN (PAA RE) and Nature as Ancient African TaMa-Rean (Egyptian) also known today as “Melaninites” learn to tap into, bring forth and work with the Positive Life Forces in Nature. In Ancient TaMa-Re (Egypt) and Ancient (NAPATA/NUPU-TA) Nubia or Cush we called this Science of Black Mental Magic (Al-Khemy) “NUN”. To the onlookers who did not know or was uninitiated our Science appeared to be “MAGIC” and spookism, but to the Initiated and students of the High Mysteries at the time we always knew about the Laws of Nature (Nazduru) and the Science in working with the Laws of Nature to bring about a Positive result to raise the Vibrations of not only ourselves but all others around us and who come in contact with us. The People who practice and “apply” this way of Life in this day and time as in Ancient times are known as “NUNOLOGIST”. Nupu-Nun = Electromagnetic Energy known today by the Scientific World. As African People Worldwide “YOU” are an incarnated Whole Light Being (SOUL),that has risen from the Dark Waters of ANUN-RE. ANUN-RE is the Unseen Darkness or Ether of Original Creation still and always will be “CREATING” which is Growth for creation truly means “GROWTH”. Realize now that your Melanin or what the Science World is calling “MELANIN” is a condensed form of Light, and responds to and interacts to Light Waves, Vibrations, Tones and Frequencies in its immediate environment. We as Nunologist always knew that we could have an effect on distant places, persons, and things on this side of h1 (Hydrogen) via “MIND POWER”. 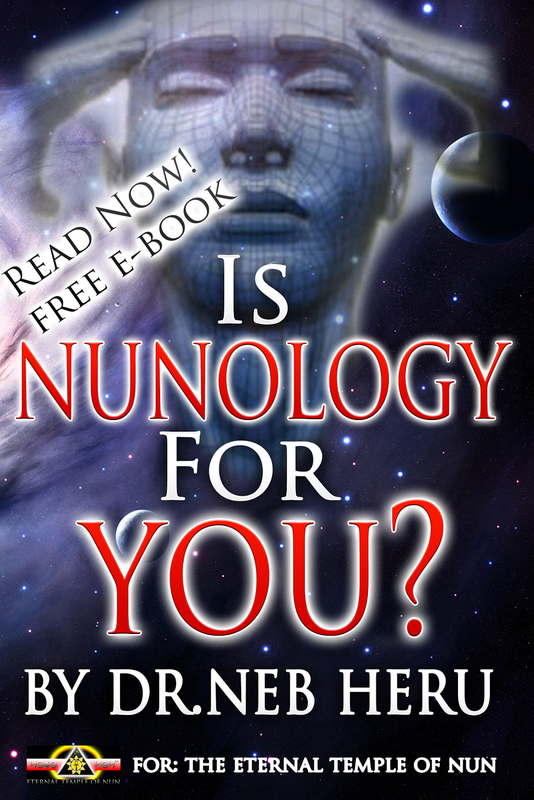 Nunology is Pure “Mental Energy” that is in contact with the Pure Mental Creative thought of the infinite and boundless Universes (Multiverse) and Beyond the Beyond. Your Mind Power has been a symbol of your “GOD POWER” and “Birth Right” which is “Greatly Lacking” in this day and time as African People World Wide. We are now Living in the Day and Time where “MIND POWER” must overcome Physical Matter and gain back control which is Order over the Chaos! As a Nunologist you are the MIND of GOD, learn to utilize it! And when we say GOD, we mean “any Person, Place or Thing in control at any given Moment!” Your Mind Power as Nunologist is the Governor over Space, Matter and Time thus making you a “Quantum Being”, and in time all this will become clear to you, as your Awareness grows in remembrance of all these Ancient Facts! Always remember “Oh Children of ALL” that MIND POWER is GOD POWER and you always receive this confirmation through facts, “Which is SOUND RIGHT REASONING!” You now have the Master Keys (Ankh) to your ultimate freedom as a Nunologist to “shape”, “mold” , “control” and “MASTER” your Destiny!